To further promote mass Canadian adoption of energy efficient, LED lighting technologies in the commercial retail and manufacturing sectors, LED Canada now offers the lowest priced, DLC listed high bays in Canada. 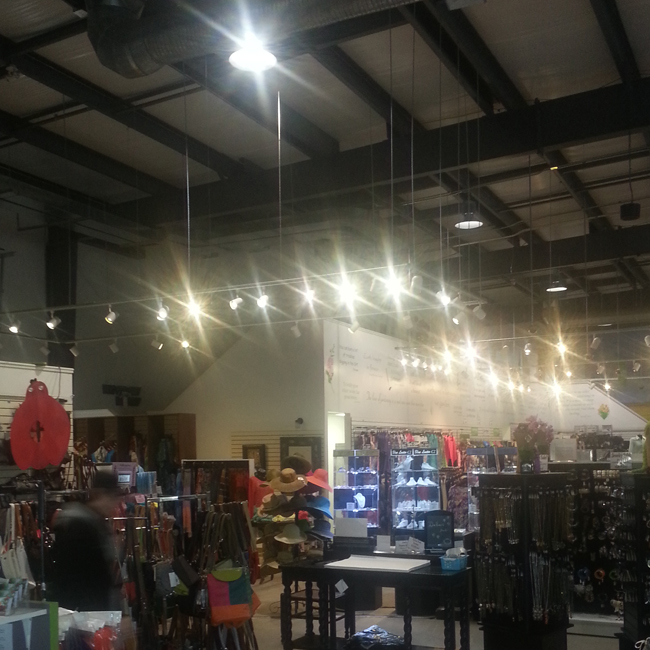 By changing 1000 W HID to 300 W LED, running 12 hours per day, each fixture saves over $350 per year in electrical costs. LED Canada announced today a new paradigm in high Bay LED pricing has arrived, making the ROI for LED High Bay conversion a clear winner in lighting technologies. While LED lighting for large areas, indoors and out, has been considered too expensive in the past, a new strategic alliance combined with increased economies of scale has allowed LED Canada to release a complete line of High Bay replacements. These include the 400w, 600w and even 1000w HID metal halide commercial and industrial high bay lighting with a ROI (return on investment) of under 1 year in 24 hr per-day settings. Featuring the amazing “Cree” (American LED manufacturer), XTML, high output LED chipset, combined with what is widely considered the industries best Meanwell power supply for maximum longevity. Certified for use in North America by cULus as well as DLC (Design Lights Consortium), meaning it has passed LM 79 – 80 testing, guaranteeing you will get 50,000 hours of active duty cycle life. With this new pricing structure, customers will begin saving thousands of dollars per year on installation. For example: changing just one 1000 W HID to the LED Canada 300 W LED at only 12 hours operating time per day will pay for the initial cost of the product, the hundred dollar installation and will still save over $1000 in electrical costs over its five-year active-duty life cycle. Unbeatable deals for warehouses and production facilities.